February is National Children’s Dental Health Month, and there’s no better time to focus on keeping your child’s teeth healthy. The good habit of oral hygiene is forged in childhood, and will serve your youngster throughout their life. Oral health can affect your overall health, and by establishing routines that keep your child’s teeth healthy, you’re setting a foundation for a healthy life. All that being said, getting your kids to practice good oral hygiene, and keeping their smiles in tip-top shape, can be a challenge. You try to be patient as they debate with you about tooth-brushing rituals and other home care hygiene, and challenge them to hold still while you demonstrate the benefits of flossing. 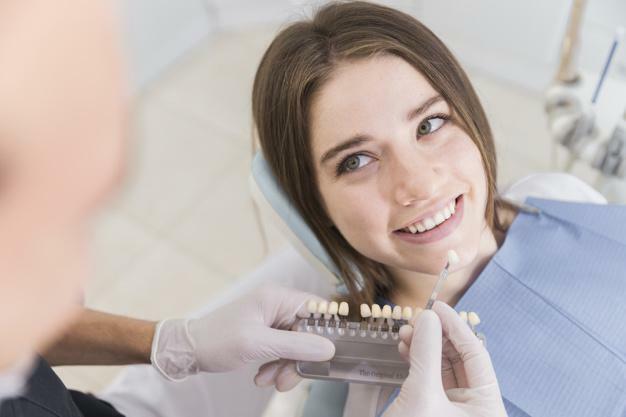 Rewards for cavity-free check-ups and cleanings every six months are one thing, but how do you keep up your momentum during the time between dental visits? Healthy teeth don’t “just happen.” A lot goes into making sure your child’s teeth are the best they can be. In addition to teaching your child the home care hygiene of how to brush and floss, you’ll also need to brace for dental sealants, the occasional cavity, orthodontics, and even, at some point, possible oral surgery to remove their wisdom teeth. It all starts in the here-and-now, with the things you can begin doing to ensure healthy teeth for a lifetime. From the exciting time that their first tooth makes an appearance, to the Tooth Fairy’s first visit, your child’s baby teeth play a significant role in developing good oral hygiene habits. Baby teeth help your child learn to chew, aid in learning to talk, and act as placeholders in the jaw for the soon-to-come adult teeth. Begin by keeping that first tooth clean. Brush and floss as more teeth come in and your child will see oral hygiene as routine. Be sure to use products approved for children under 3. Even healthy snacks, such as dried fruit, raisins, fruit leather, and natural fruit gummies, can cause decay if they become trapped between the teeth. Watch your child’s intake of sticky snacks like these. If brushing or flossing isn’t possible, have your child swish and rinse with water after a sticky snack. Did you know a child as young as 6 months can learn to drink from a sippy-cup? Most babies like to drift off to sleep while enjoying a bottle. This is hard on their developing teeth. Known as baby bottle tooth decay, the condition comes from the remnants of milk, formula, and fruit juice that cling to the teeth and encourage bacterial growth. Practice using a sippy-cup, and help your baby get to sleep without nursing a bottle. There are times when a little bit of sugar is fine for a young child, but a steady, regular diet of processed foods and high-sugar snacks isn’t just bad for your child’s overall health; these foods will take a toll on the teeth. Monitor sweets and sugary drinks. Allow your child an occasional treat, but make sure they brush and floss as soon as possible. The best way to keep your child from fearing a dental visit is by finding ways to familiarize them with the process of a check-up. Read storybooks that highlight dental visits, role play with your child, and visit Santa Clarita Advanced Dentistry for a “happy visit.” When it comes time for their fluoride treatments, they’ll be familiar with the office and staff, and the episode won’t be so scary. At Santa Clarita Advanced Dentistry, we want your child to see our office as a “happy place.” That’s why we encourage you to bring your young child to our office to introduce them to our pleasant environment. Your child’s first visit should ideally take place by about age 3. If your child is ready and willing, we’ll perform a brief exam, and even take some X-rays. This is known as our “happy visit,” and we’ve had a great response from parents. If your child is near age 3, and you feel they’re ready to learn what “going to the dentist” is all about, contact Santa Clarita Advanced Dentistry today. We serve Valencia, California, and surrounding areas, and we look forward to partnering with you on your quest to keep your child’s teeth healthy for the rest of their life.